CHENNAI: On December 12, 2016, cyclone Vardah hit many major towns of Tamil Nadu, including the capital city, Chennai. The cyclone caused thousands of trees to be uprooted making the city look like a green graveyard. Consequently, electricity, water and most importantly optical fiber-based internet services were hampered to its best. Within a week, the city bounced back to normalcy with electricity and water supply completely restored. Internet service providers with minimum disruption like BSNL and Airtel (that had underground cables) managed to rectify minor issues related to cable faults within four days, some in-fact supported best even during the cyclone. But, unfortunately, broadband service providers like YOU Broadband, Cherrinet, and Atria Convergence Technologies (ACT bore most of the cyclone’s brunt in Chennai. 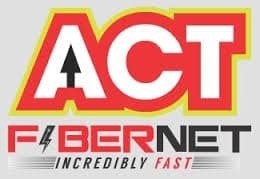 ACT, the most trusted broadband service provider, lost nearly 90% of its overhead cables due to the mass-scale of uprooted trees, electrical poles, and even transformers, causing total disruption to its cables, wires and junction boxes. Although, majority of ACT’s network like the aggregation network and access network, were underground, ACT cables ran on trees and electric poles used for street lights. The overhead cables used poles by law of Right of Way (RoW) authorization from the concerned government bodies. Ninety percent of these poles on which ACT cables ran were destroyed due to the high velocity wind during the cyclone, causing twisting, coiling and breaking of overhead cables. Today, a month since the cyclone, ACT is still struggling to restore internet service to more than 60% of its subscribers. Although the company claims that it has managed to restore the connection for 60% subscribers in most areas of the city, thousands of complaints still remain unattended with grievances pouring-in on the broadbandhub and consumer complaints websites. Registering numerous complaints on ACT’s Call Center, through SMSs, in-person and personal, bitter confrontation with the customer care executives have left the consumers in vain, as none of these could help resolve the issue. Some consumers have reported that ACT has closed SMS complaints without fixing the problem, with expiry of the ticket number provided against the complaint, and are now unable to reach out-to the customer service center through telephone lines. Some consumers have waited for more than 30 minutes just to get a call center executive on line and to receive an update stating that connection may be tentatively restored by January 7, 2017. Email notifications from ACT do not indicate the nature of the problem and the exact date of restoration but just gives a regret message that does not satisfy questions posed by agitated consumers. Post Vardah, the overall impression on ACT has changed. What was once recognized as an economical, trustable and uninterrupted internet service enterprise is now viewed as a company that has failed to act after a natural calamity. Their total ill-preparedness, short-staffed, and lackadaisical response by call center executives has left a bad scar among Chennai’s ACT Fibernet subscribers. In the meantime, ACT subscribers desperate for Internet services, have chosen to move out of ACT subscription. With the latest launch of Airtel V-Fiber, the telecom giant has charted attractive plans to woo consumers with 100Mbps speed and after sales service. BSNL in Chennai has also ensured to up their subscriber base, just by proving that it is the most trustable service provider during floods or cyclone. Reliance Jio also made subscriber gains by offering 1GB free data every month. While compiling this report, I have tried in vain to get a personal/email/WhatsApp response from the CEO of ACT Fibernet, Bala Malladi, Narayanan, Head of ACT’s Chennai circle and other nodal officers. 30 days and counting, ACT Fibrenet’s Chennai consumers remain restless over ineffective restoration 0 out of 5 based on 0 ratings. 0 user reviews. Let me tell you few things, Airtel is not available widely in Chennai and for them to lay underground is a tough task. So they like to sustain and taken in few new connections which will have no problems. BSNL is available in vast areas, but their issue is very poor plans and support. They need to improve a lot to reach more customers. Other ISP’s suffer mass outage due to overhead cables and no underground cable laying. Government or the authorities should help them to have a unique underground cable option to avoid over crowding of cables. Its more than a month and counting. ACT has simply not been able to deliver. Per the email from ACT, my connection was to be restored by 10th Jan. However, now they tell me they need time till 26th and may be more. Its absolutely ridiculous that in todays day and age, I’m without internet connection for more than a month. Needless to say of the agony i have gone through trying to reach them. There simply does not seem to be any end to this traumatic experience.